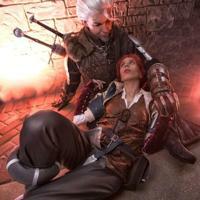 Crystal Soul Cosplay is derived of a married couple who love to cosplay. Crystal soul cosplay have been cosplay guests at a few conventions ( animore , nipponcon, kotoricon, gexcon) to name a few. These two have done many panels at these conventions and would love to spreading their knowledge and love of cosplaying to others. The duo have been cosplaying between 12 to 14 years and have been doing charity work( hospital visits and hospitals events) as a children entertainers for about 2 years.